I have a really exciting question for you today: Do you want to go to Haiti with Kevin? I’m serious! 🙂 We’re hoping to help our adoption agency (Lifeline Children’s Services) round up a team to go serve at three different orphanage homes at the end of April. 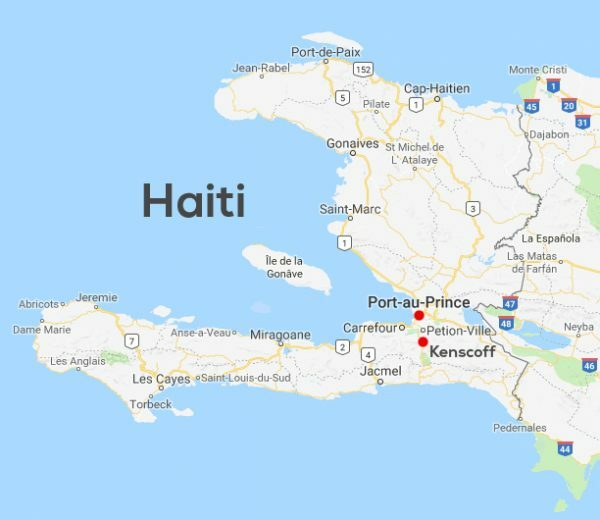 Two of which are located in Port-Au-Prince, and the other is up in Kenscoff. The team would fly to Haiti on April 26th and fly home on April 30th, so the bulk of the service would happen on the 27th, 28th and 29th. 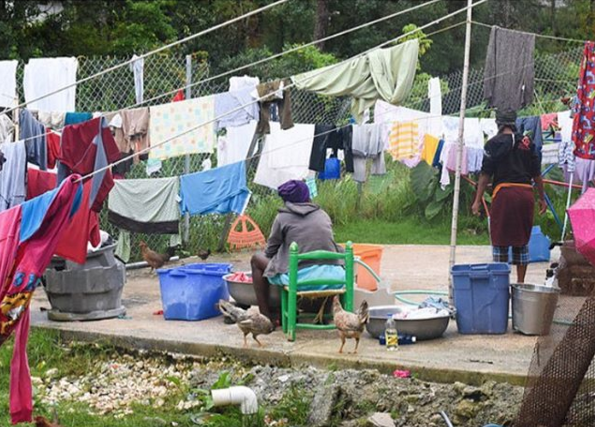 The caption under that photo read, “Our wash ladies are outside washing the crèche laundry Monday – Saturday. When it rains they do what they can, but there is no shelter for them to work under. If you are crafty in any way, not just construction, we would love to use you and your skills to cross off some of the wishes from some of our departments”. Probably because I’ve got a heart for design AND Haiti, I immediately felt compelled to help them build some kind of structure. And then, I saw it all in a flash: the team, the team doing construction, the structure fully built, the wash ladies and the laundry staying dry underneath it. It was like God sent a 2-second download of what was possible if enough folks knew about the need for that structure to my brain. And even though that kind of construction would likely happen on a separate trip, you can imagine how many goosebumps popped up on my skin when Meredith (from Lifeline) asked me (out of the blue) if I would help spread the word about their upcoming trip to that particular orphanage! I made the infographic below in hopes you can help me spread the word about the trip. Please feel free to share it on your blog, Facebook page, Instagram account, or via email with folks who may be interested in more information or want to reserve a spot and go! If you have any questions for me or Kevin, please don’t hesitate to comment below. 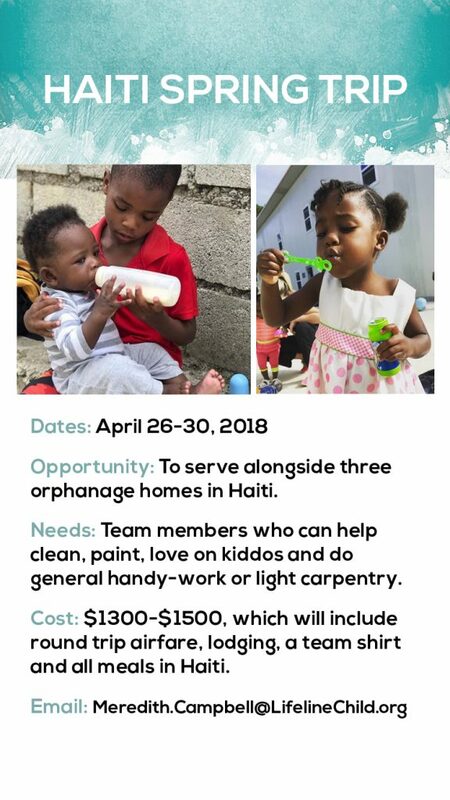 And if you’d like more information about the trip (or Haiti adoption! ), you can always reach out to Meredith at Lifeline. Meredith was our caseworker throughout the last couple years of our adoption and the other day she and Steevenson were talking on the phone. He said, “Thank you for helping me find my family” and sweet Meredith got so choked up on the other end of the line. 🙂 If anyone reading this does decide to join the team for the trip, I can promise you you will be so blessed by her too! PS- Lifeline is hoping to gather a group of 8-10 people for this trip, so spots are limited, but they’ll be taking another group of 8-10 this Fall too. Make sure to drop Meredith a line at [email protected] if you’re interested in going on that trip instead! Don’t forget to write ‘HAITI TRIP’ in the memo line as well. Previous Post: « 6 Fun Decorating Ideas For Your Home – Let’s Go! Oh Layla, I’d so love to go. But, sadly I have no passport or money to do it! I have been involved with the Maheela Organization for years in Nepal, India. I’ve helped raise money for them to assist with the good work they do to help woman in domestic and political violence situations to learn a trade to sustain themselves (and often their children) on their own when they are able to leave Maheela. I have a strong pull to reach out and help overseas. It was in my prayers and promised that I’d be written into a grant to pay for travel to Nepal after all the years I helped but never got to meet them face to face. But it never came into fruition. I was so disappointed. My husband is a softy when it comes to people in need and he is an excellent craftsman who can build just about anything. When I saw your email this morning I thought – if only. Even though it is not in my power to be able to travel to help these wonderful people I can pray for you and pray that others who are fortunate enough to be able to go and meet these needs will step forward. You are doing such good work! I hope, one day, I too can go do good work and help these wonderful people and others. My soul cries for it and I pray for it but so far the answer has been no. Karen, have you considered a GoFundMe page or something similar? I do not feel that call to go overseas (at this point in my life), but my husband and I love to contribute financially to those who do. 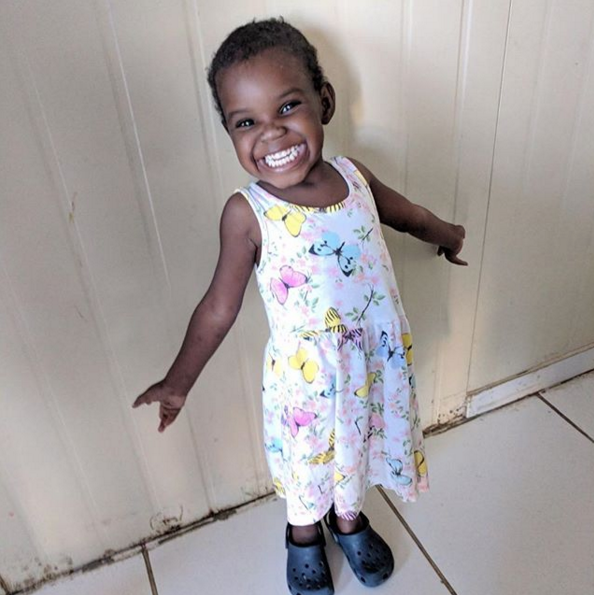 Layla – For some of us who are unable to go on the trip, but would like to assist financially for supplies/materials, is there a website at which we may donate? Even small amounts can add up! In the past a website was given; but it was not a https – SECURE website, safe for credit card #’s, etc. As much as my heart longs to go back overseas to help others & to have my heart filled with the love of sweet kids & babies, financially it isn’t possible right now. If it’s God’s will it will be done. Thank you to Layla & Kevin for spreading the word of this great opportunity. That precious little fella wearing the red shirt in the infographic is my son, who is home and doing amazing. 🙂 I love that his pic is being used for such an awesome cause. I hope you guys have a great trip. 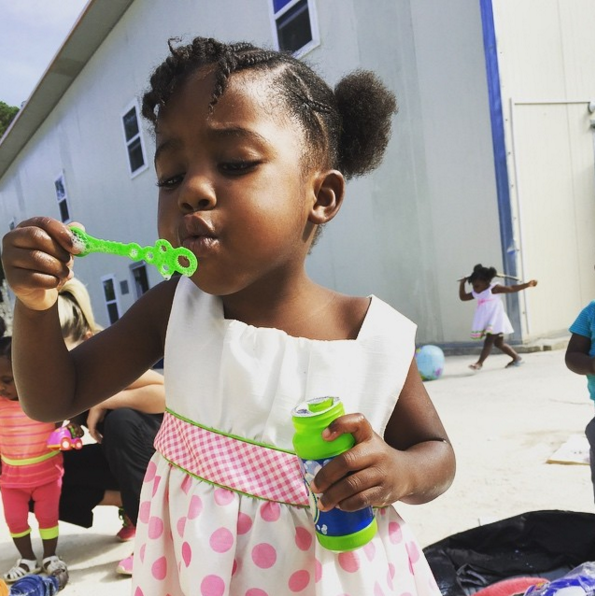 We can’t wait to get back to Haiti to serve. I would absolutely love to be able to serve C4C through Lifeline. Thank you for being a willing agent to help such hard working people who took are of our sons for 4 years. Layla and Kevin you are such angels. I would be interested in helping fund a project – it is always amazing to see the great things that can be done when many people may help in little ways but together it has such a big impact. And for your kind comments and offer to help with funding on a project. YOU are an angel! Hi Layla! 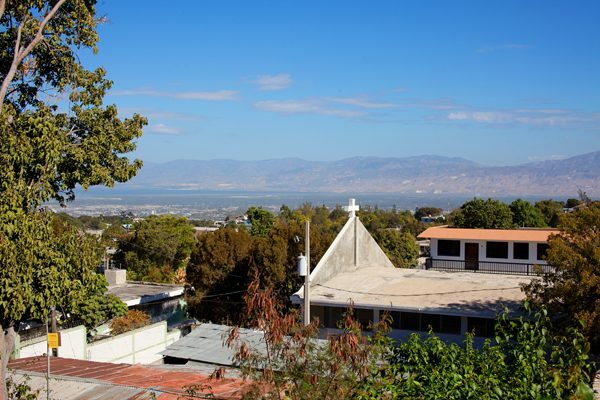 I am so interested in going to Haiti in April! I was just saying my prayers a few weeks back asking for something like this to come across my path! And then there you are on IG today like an Angel sent to spread His word! So, where do we go from here? I want to help in any way I Can! Layla! Your kindness of heart never ceases to amaze me. 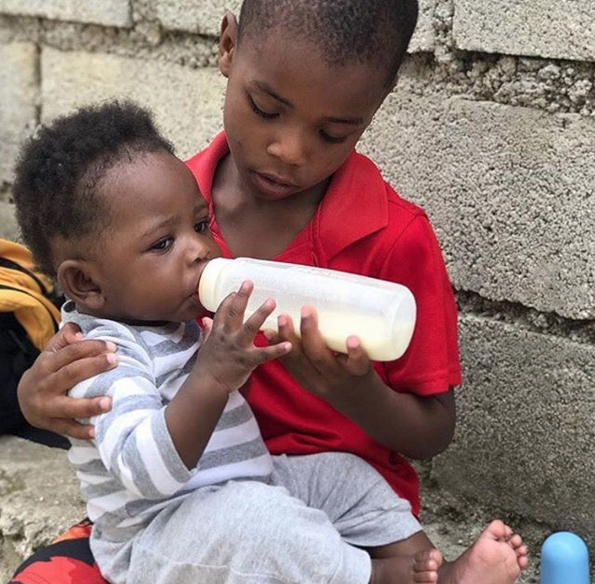 My husband and I would love to help out in any way we can on one or both of the trips to Haiti. We have communicated with Meredith as well. Please keep us informed of next steps. Such a wonderful idea. The trip sounds amazing, I may have to add it to my bucket list! I did make a donation using the link above. Thanks for sharing. Layla, I haven’t read through the comments so forgive me if someone already mentioned this…in your design for the overhead shelter, be sure that it is strong enough to withstand hurricane force winds which batter the island multiple times each season. I don’t know that anything will survive an earthquake or mudslide, but at least if it can survive the hurricanes, the time and effort will not be in vain. God bless your little family, those going on the trip, the beneficiaries, and everyone donating to such a worthy cause! 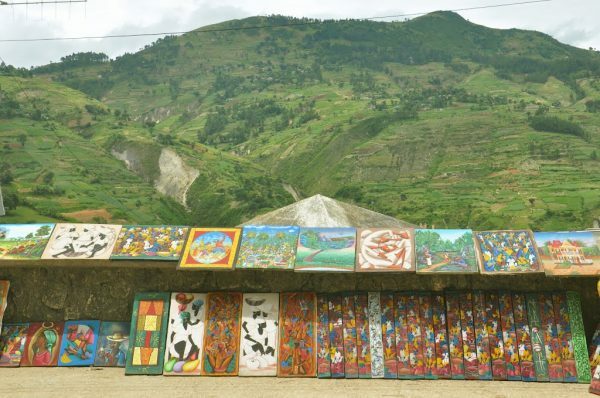 My hubs and I would like to go to Haiti on one of the trips. IS April still open? DO you have dates for the fall yet?